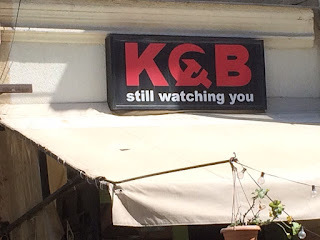 Last year we came as far east as Tbilisi, Georgia. Today we returned. 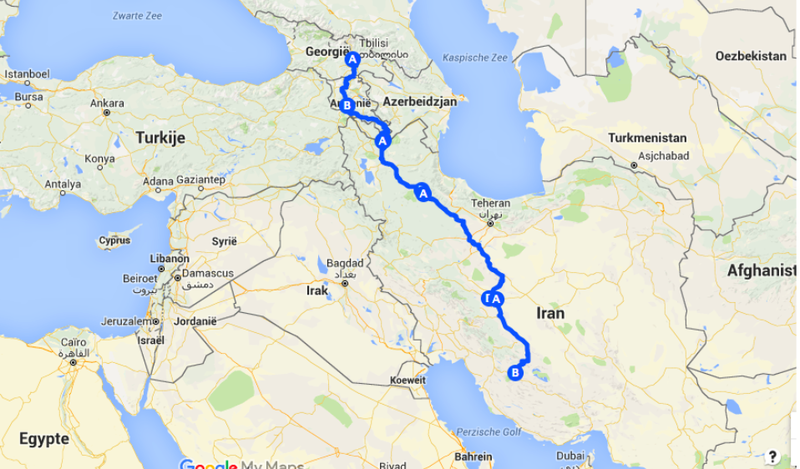 We intend to continue our journey from here through Armenia and into Iran. 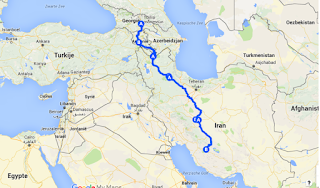 Left Breda at 09.00 hrs and reached the same small and cosy hotel of last year inTbilisi at 04.00. A bit of a dissapointment, not that nice spacious room we had then, but something more like an attic. Slept well though. Unpacked the bicycles and built them up again, technically they were ok. Always a bit of a worry when you have them transported via air. Some paintless spots on the frame, that seems to be all. Spent the very hot day finding the one and only outdoor shop here to score a gas cartridge for our omnifuel-stove. We prefer gas over petrol, much cleaner, less smell. Though we are no keen wildcampers, it is likely that on this trip we are bound to experience this form of outdoor life now and then. Georgia was one of the Soviet republics, even the native country of Stalin. Today things are different, though Russia has encouraged various rebel-groups to occupy their provinces and declaring themselves independent states. The bear is alive again! In Tbilisi centre you won't notice much of this past, though back streets generally look shabby and there's an occasional power-cut. The city is busy and the old centre tries to be an attractive tourist spot. With humour, see this photo.